Spring is in the air, so the last thing you want to do is be a slave to the kitchen. 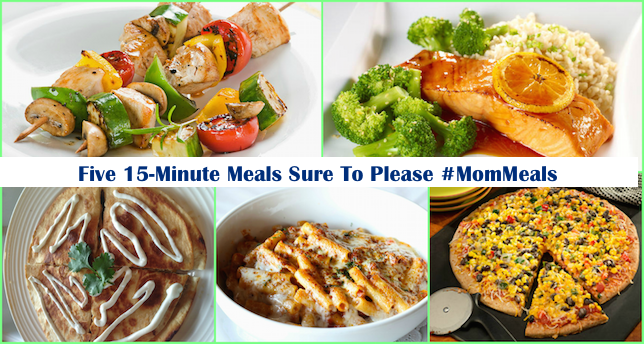 This week's Mom Meals are fast and flavorful; with little to no cleanup! Hopefully, the time you save slaving in the kitchen, you'll spend on a family stroll around the block. Heat oil in large nonstick skillet over medium-high heat and cook Recipe Ready Southwest Blend, stirring occasionally, 5 minutes or until vegetables are softened and any liquid is absorbed. Stir in cilantro. 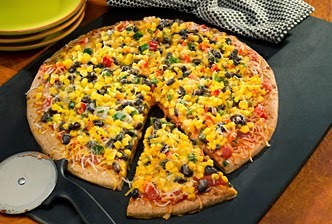 Arrange pizza crust on baking sheet and evenly spread with salsa/refried beans. Top with vegetable mixture and sprinkle with cheese. Bake 10 minutes or until cheese is melted. Heat broiler. In a small bowl, combine the sugar and soy sauce. Set aside. Cook the rice and according to the package directions. Meanwhile, place the salmon and onion on a rimmed baking sheet. 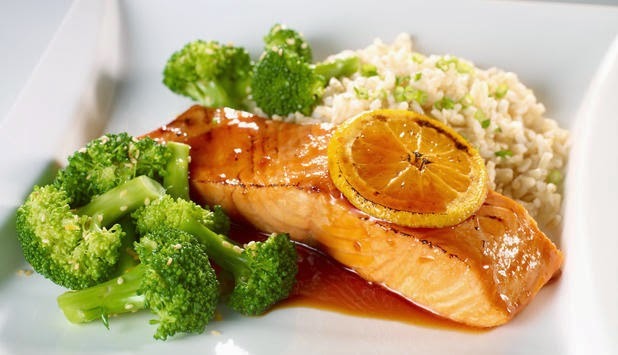 Drizzle with the oil and season with ½ teaspoon salt and ¼ teaspoon pepper. This is super simple. 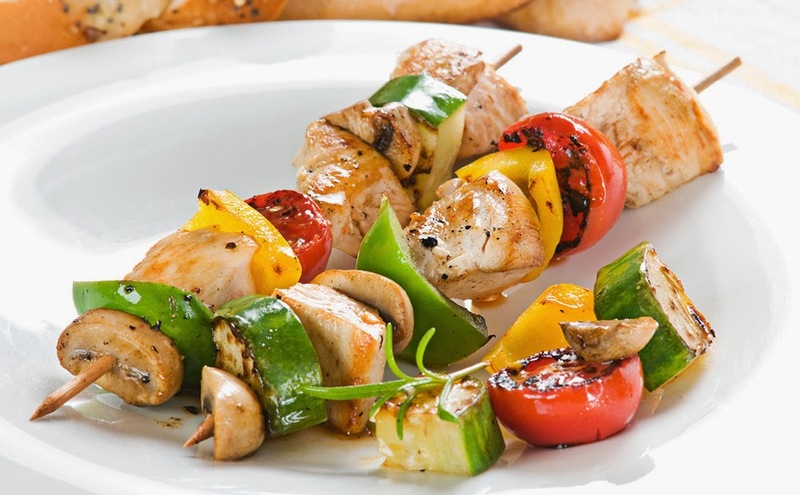 First, if you're using wood skewers, start soaking them in water they need 15-20 minutes. Next, Cube chicken/beef/tofu and your family's favorite vegetables. Toss meat in one bag and veggies in another, add a tablespoon of olive oil and salt & pepper plus your favorite seasonings. Preheat oven to 450 degrees or fire up the grill. If age appropriate, get the kiddos in on the skewering fun! If baking: Bake beef 10 minutes for medium, chicken & tofu 20 minutes. Also try my favorite (it can be a little too spicy for kiddos), Jerk-chicken and pineapple kabobs! 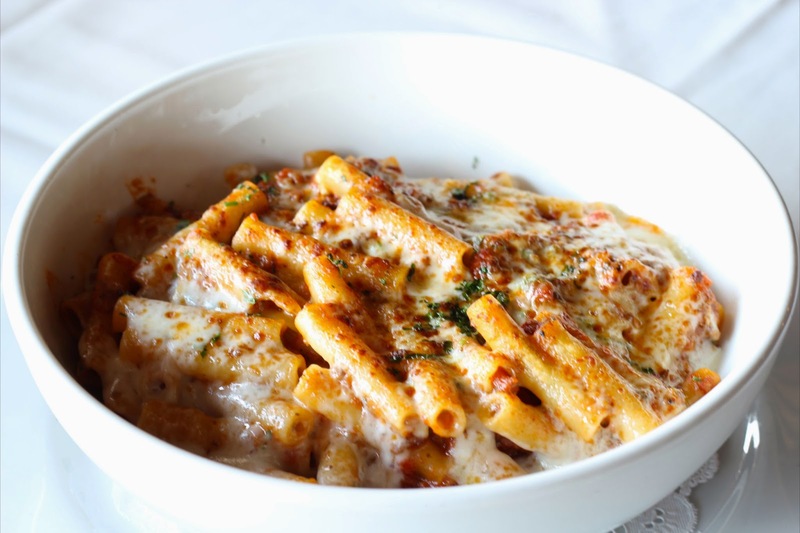 For an ultra decadent Baked Ziti, click here. 1-2 jars of favorite pasta sauce-- 1 jar will just coat, 2 jars will make it saucy! 2. Brown turkey mince with garlic and Italian seasoning. 4. GENTLY toss cubed mozzarella and cup of low fat ricotta with pasta. 7. Bake in 350 degree preheated oven until cheese is bubbly. We LOVE quesadillas in this house. 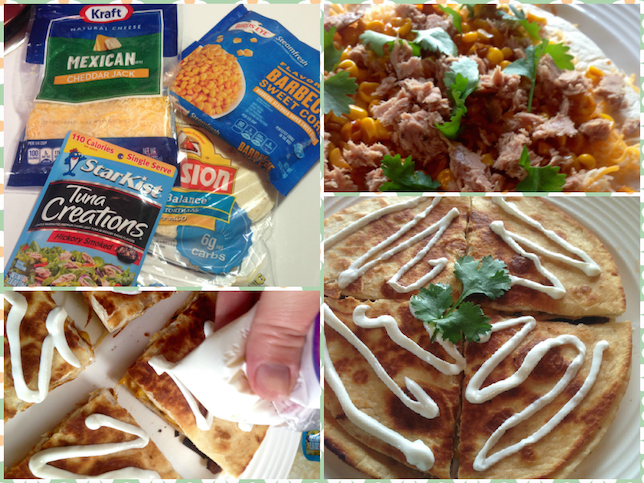 They are easy to make, and can be packed with just about anything. Not-to-mention, I can hide veggies in them without issue! It never fails that once a week I use the night before leftovers for a mystery quesadilla. 1/2 cup sour cream placed in small baggie with corner cut off for easy topping! Place in skillet and cover with another flour tortilla. Cook on each side for 3-4 minutes or until golden brown on both sides. 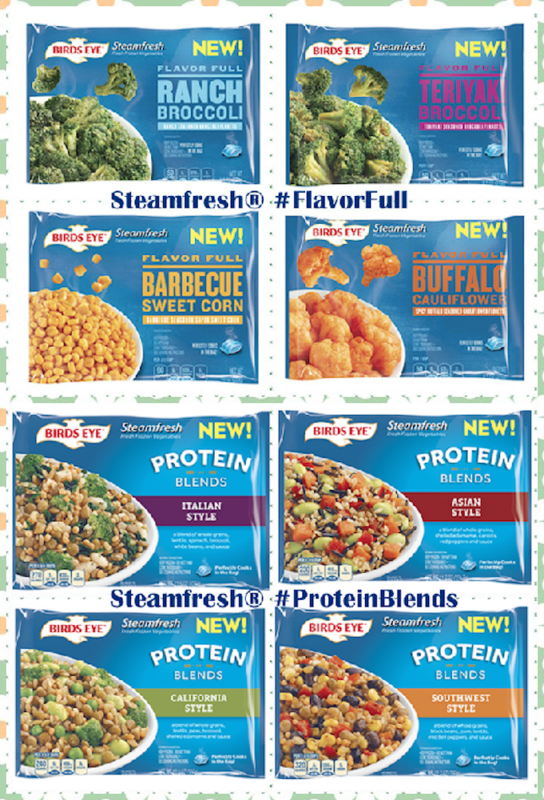 Try New Birds Eye® Flavor Full Veggies – in 8 Varieties!